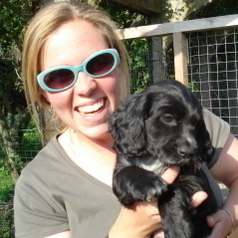 Jacqueline is currently a lecturer in Animal Science at Nottingham Trent University, with a passion for domestic species, notably dogs and horses. Her academic and research interests are broad ranging, from the molecular biology of parasitic nematodes to the genetic basis of cryptobiosis and jump kinematics in agility dogs. Jacqueline is very much an academic practitioner and recognises the value of science that has direct application and potential to improve animal health and welfare.